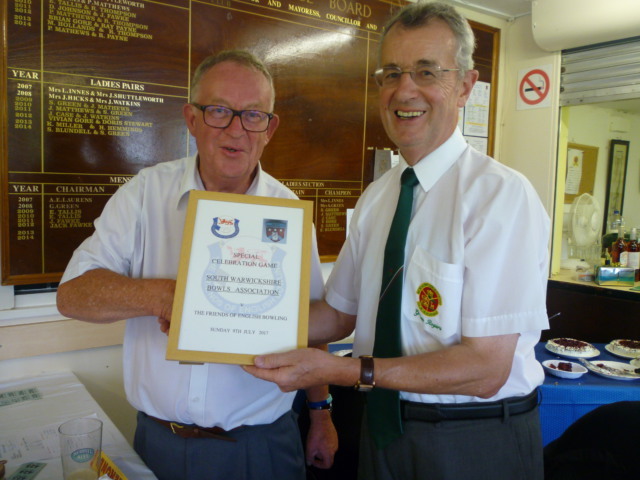 Friends v South Warwickshire B.A. On Sunday July 9th Friends from 9 counties arrived at the Avon Bowling Club to play The South Warwickshire Bowling Association (S.W.B.A.). With an address of Swans Nest Lane and situated adjacent to The River Avon, the setting was perfect. It was a special day for Peter Vale-Humphreys, the President of the S.W.B.A. as Avon was his own club, where he had been a stalwart for many years. We were greeted with copious amounts of coffee and tea, together with a super buffet lunch before the game started. The sun was shining and the game duly started after Web-Master Cyndy Lee managed to organise the ensemble for the traditional photograph. The match was played in a traditional and most enjoyable way but The Friends were struggling to match their opponents with a score line of 49:64, at 10 ends, but “when the going gets tough, the tough get going”, so we did! With the benefit of some delicious cold refreshments at rink side at this stage the Friends dug in. During the game, members of the public took the opportunity to come in and watch, taking timeout from the high level of activities along the River Avon. We were also regaled with a selection of music from passing boats, music from the nearby bandstand, which with the banter of the green, it gave us the perfect setting for a game of bowls on a warm summer’s day. By 15 ends the gap deficit had been reduced to 9 shots, with the two end rinks battling it out for top rink honours, but alas, rink six with Linda Newby, Carolyn Hunt, Mike Salter and Chris Smith prevailed with an impressive score of 31:8,thereby helping the Friends to win 128:103 overall. 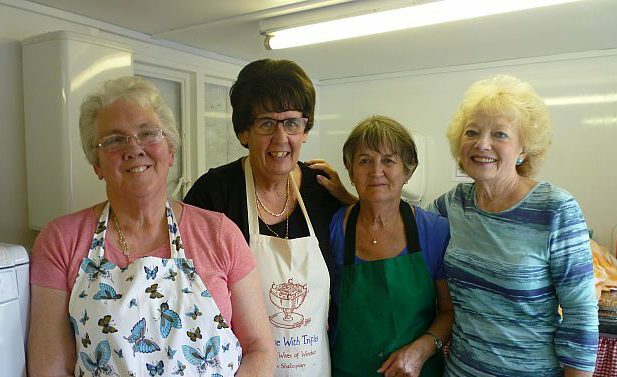 The ladies of Avon deserve a special mention for producing a superb after match meal and with the benefit of a much needed bar, refreshments kept the banter and enjoyment going a bit longer. As always many new friendships were made and renewed and with the prospect of returning to Avon in 2024 to celebrate their centenary, it is a fixture to look forward to.